Tags: black rhinestones, hematite, rhinestone, statement earrings. 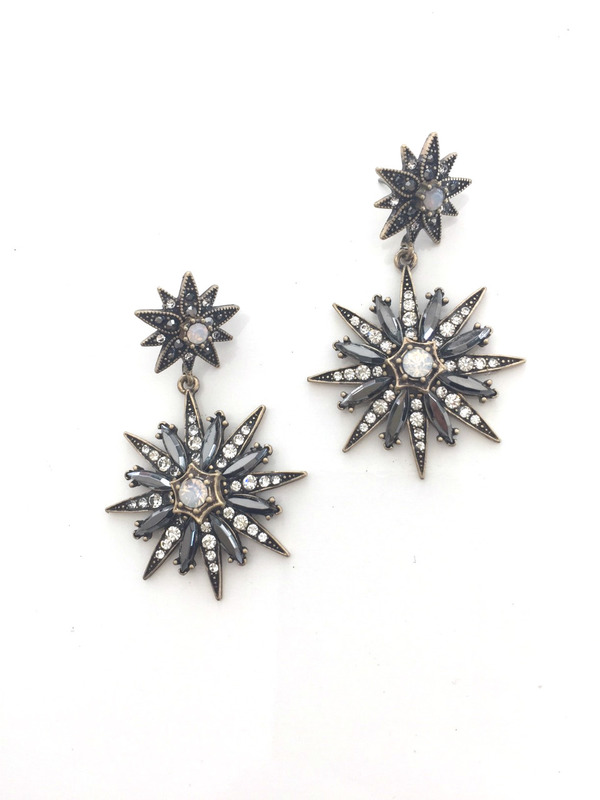 Dress up your lobes with our Black Stardust Statement Earrings. These beauties are enchanting with a hint of fun and femininity. These earrings come in black colored jewel-toned rhinestones accentuated with tiny clear crystals in an antique gold setting.